So begins the poem “the rules,” near the beginning of Donney Rose’s collection The Crying Buck. In this and the 21 additional poems, Rose dissects our cultural stereotypes of black masculinity and ruminates from within this collective identity and his own experiences. A native of Baton Rouge, Rose works at Forward Arts, Inc., which teaches creative writing workshops at partner schools, and has represented Baton Rouge on the regional and national slam circuits for more than 15 years. Together with his Forward Arts colleague Chancelier “Xero” Skidmore, he’s part of a now well-established generation of slam poets who are reaching back to mentor and support younger writers and artists. In addition to his extensive youth education, he also organizes community groups for black men in Baton Rouge to discuss both current events and their roles within them. 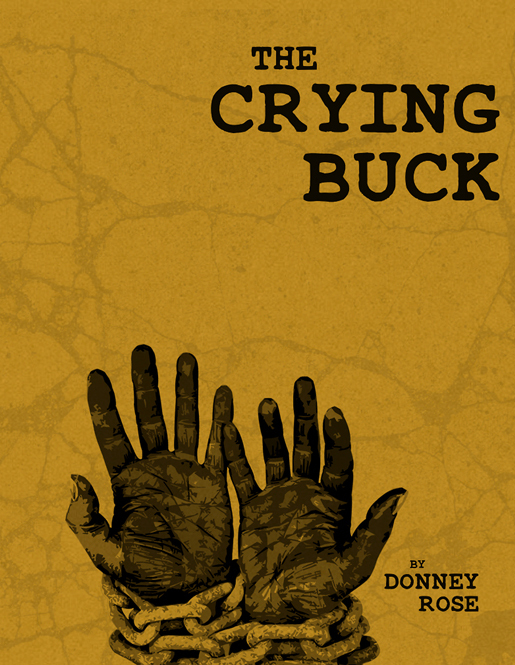 The Crying Buck was released earlier this year by Next Left Press, based in Ascension Parish, which produces handmade limited-run chapbooks and dedicates each book’s sales entirely to the poets. This collection is timeless, joining a long conversation that black artists have fought to voice, and also incredibly timely, echoing today’s relentless and troubling headlines of violence. The modern voice of Rose’s poetry is underscored with his awareness and reflection of the historic context in which he and his work exists. Find more information on the book at donneyrose.com.